As you can see, Colgate 26 sailboat owners LOVE their boats. The Adkins, pictured above in their new Colgate 26 a year ago, enjoy sailing on the lake whenever they get a chance. 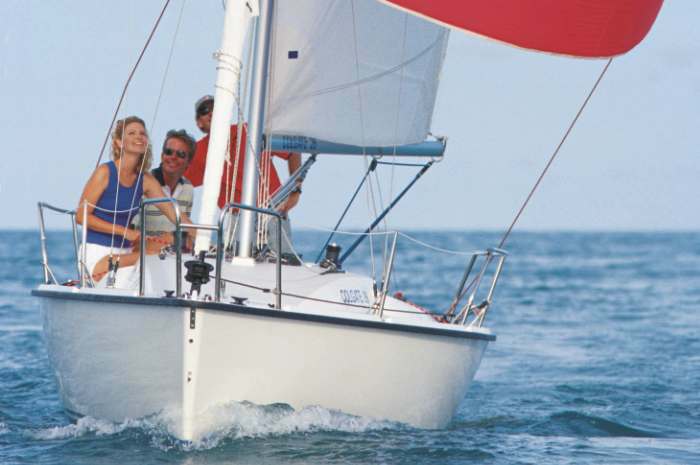 The sail-away version has everything you need to start enjoying your white sailboat the moment it is launched.